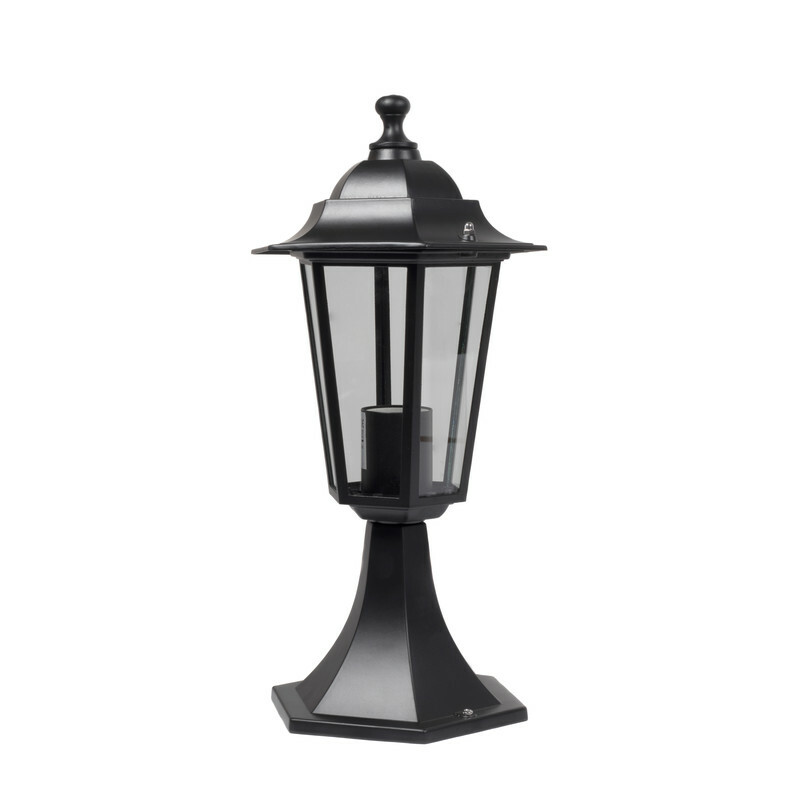 Black finish die cast aluminium outdoor pedestal lantern with glass panels. Height 410mm, diameter 205mm. IP33 rated. Class 1 insulated. 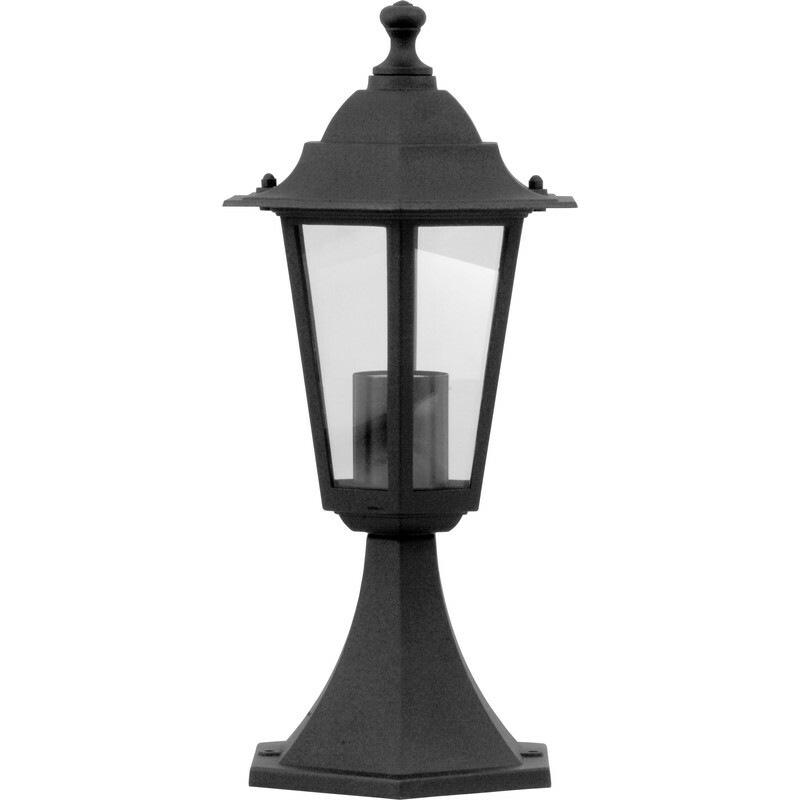 This luminaire is compatible with bulbs of the energy classes A++ to E.
Victorian Style Pedestal Lantern Black 60W ES is rated 4.3 out of 5 by 3. Rated 5 out of 5 by Ronnie F from Excellent value for money. This lamp really looks the part and is very good quality, I really don't know how they do it for the money. 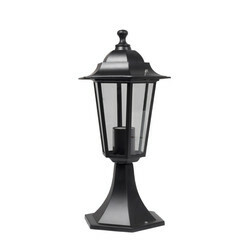 Rated 5 out of 5 by Bigmick from Outdoor pedestal light Very good quality metal lights well made with a spare piece of glass better quality than some I’ve bought at twice the price.